The BBC has released interviews with the cast of And Then There Were None ahead of the programme's release this Christmas on BBC One. Aidan Turner talks about his character, Philip Lombard, a shady amoral character, very different from the heroic Ross Poldark. Aidan also reveals he loves the clothes of the era and that he'll be using his native Irish accent, as well as talking about the thrill of being part of such a stellar ensemble cast. For Aidan Turner the prospect of playing a character who is the antithesis of Cornish hero Ross Poldark was a great start. Aidan was particularly impressed with the 1930’s set. 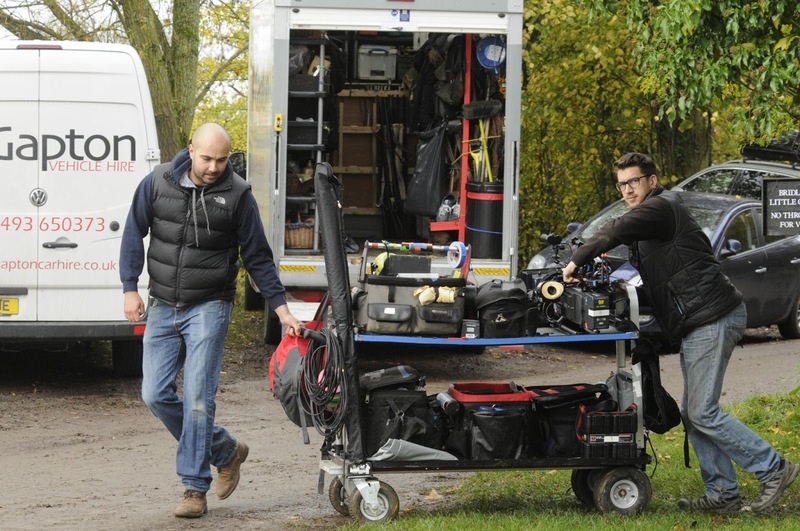 “Once you walk onto set and it’s dressed, it just looks immaculate and beautiful and very much of that time. You feel like you’re in that world." He also enjoyed the era’s attire, so much so that he claims; “We’ve got it wrong now, wearing jeans and boots and all the rest of it, all this low-waisted stuff and t-shirts, somewhere along the way I think we’ve got it slightly wrong. There were these highwaisted pants I was wearing for a lot of the show and they’re really comfortable and quite flattering!" 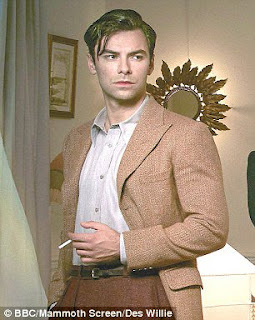 But the element that impressed Aidan the most was the line up of his fellow ensemble cast. "I was on set with all these amazing actors who I have revered and looked up to for years. It was exciting, these are people I really wanted to work with and being part of an ensemble. 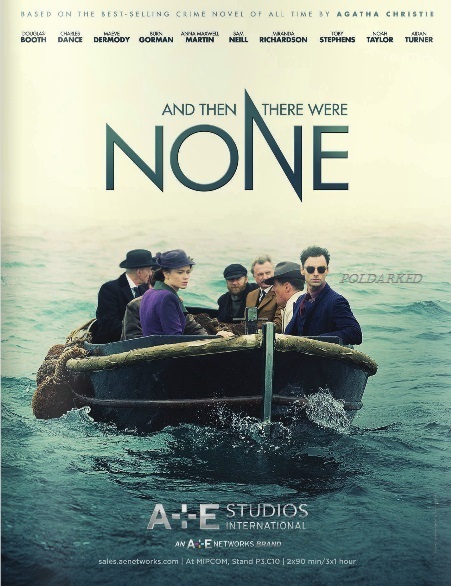 And Then There Were None is a Mammoth Screen and Agatha Christie Productions programme for BBC co-produced with A+E Television Networks. RLJ Entertainment has taken US DVD and DTO rights. A+E Networks will handle international sales under the A+E Studios International banner. Great news! Not only does And Then There Were None hit TV screens this Christmas but afterwards, lovers of the show won't have to wait long to own it. Distributors RLJ Entertainment told Poldarked that "... the release date for the DVD of Then There Were None is 4th January. It will be available to pre-order in December...from AcornDVD." 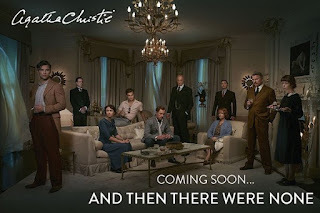 The BBC adaptation of this Agatha Christie novel has a terrific cast which includes Aidan Turner, Douglas Booth, Anna Maxwell Martin, Charles Dance, Miranda Richardson, Toby Stephens and Sam Neill. 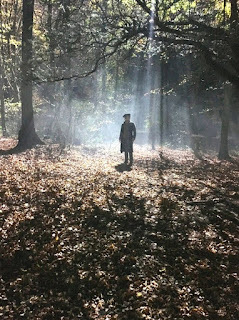 The novel has been adapted for television by Sarah Phelps ( The Casual Vacancy, The Crimson Field, Being Human) and the drama is produced by Mammoth Screen (Poldark). And Then There Were None will be broadcast in the UK in three hour-long episodes over the Christmas period. 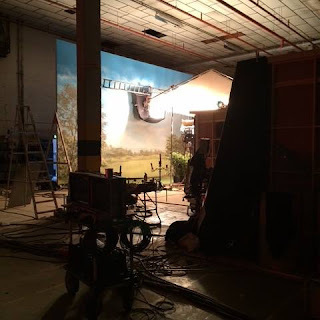 The show will air in the US on Lifetime as a two-part mini-series in 2016. 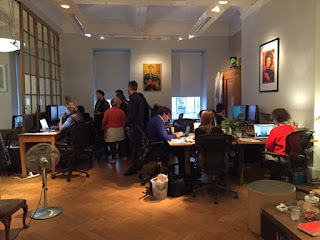 Please remember to credit Poldarked when sharing our news. As ever there's been plenty of Poldark news recently. Poldark merchandise continues to come thick and fast in the run up to Christmas. 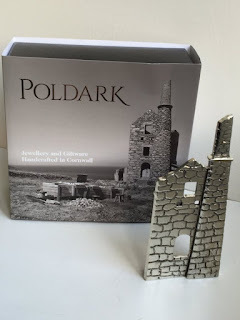 You can now get Poldark jewellery, Poldark jigsaws, Poldark Country colouring books as well as the official calendar, mugs and letter openers, plus The World of Poldark series companion book (see our review here). Congratulations to Poldark screenwriter and producer, Debbie Horsfield, who has won Best Adaptation of a Novel at the Romantic Novelists' Association (RNA) awards, very well deserved too. In other awards news Poldark is up for Best Drama Series or Serial and International Programme Sales at the Broadcast Awards!! Good work team! 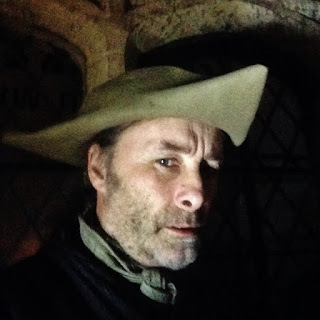 We also got a great insight to being an extra on the set of Poldark from DJ Owen, who let us in on what it's like and what Aidan Turner is like in real life in an interview with Wessex FM. Listen to the interview here. If you're missing seeing your favourite actors on screen you can catch Ruby Bentall (Verity) on Saturday evenings in ITV's Jekyll and Hyde, Beatie Edney (Prudie) in The Coroner, on BBC 1 at 2.15 pm weekdays and on iplayer. Alexander Arnold (Jim) will be appearing in Ricky Gervais's David Brent movie, Life on the Road soon. And if it's the main man, Aidan Turner, you're missing you can now buy his BBC shows, Being Human, Desperate Romantics and Poldark at the BBC Store, more here. 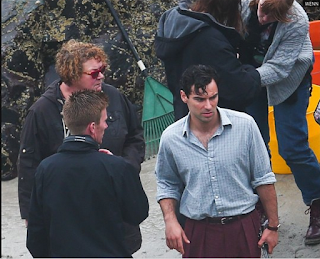 There is also good news on the release of The Secret Scripture, a movie Aidan Turner filming earlier this year, directed by Jim Sheridan. The US distributor had gone into bankruptcy casting the film's future release into doubt. However a financial settlement has now been reached which includes the upcoming release of seven movies, one of which is The Secret Scripture. You can read more here Relativity Media Bankruptcy and we'll bring news of the film's release as we get it. Upcoming Agatha Christie drama, And Then There Were None, starring Aidan Turner amongst a stellar cast is in post-production, due to be screened over the Christmas period in the UK. Mammoth Screen released this picture (below) of the visual effects team hard at work this week. 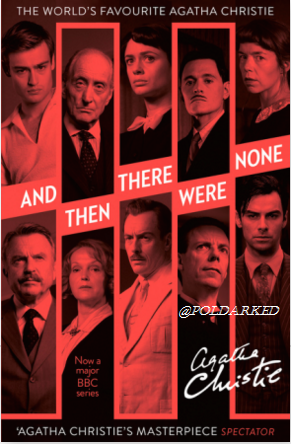 You can read more titbits about And Then There Were None here. 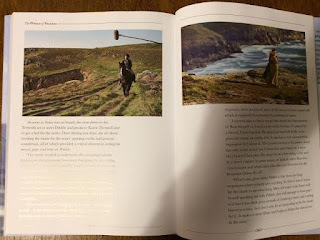 The World of Poldark will be in many Christmas stockings, it's glossy and full of gorgeous pictures from the show, which although are not new, are reproduced in high quality and it was nice to see them on a page, rather than a screen for a change. As an avid Poldarker I wasn't expecting there to be a great deal I didn't know, but was pleasantly surprised to find it an interesting read. The interviews with the crew were insightful and I enjoyed reading about the processes they go through to get everything just right. For instance, the care and time that goes into creating the right shades of colour for the costumes to compliment the actor's skin tones, creating the right effect for the character. There are also snippets from the actors, including Aidan Turner and Eleanor Tomlinson, talking about their characters, as well as background on the novels and TV adaptation. I actually found the interviews with many of the supporting cast more interesting as they contained things I hadn't seen before. 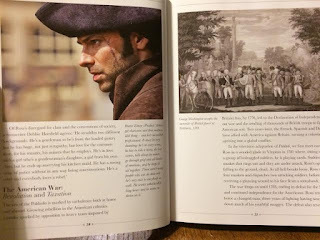 The book also explains the history of the period and a little more about Georgian life, which helps the reader to understand what drove the characters on screen and why some things were the way they were. It also highlights what a tough life it was back then, the restricted position of women and how the political upheaval of the age affected Cornish life. 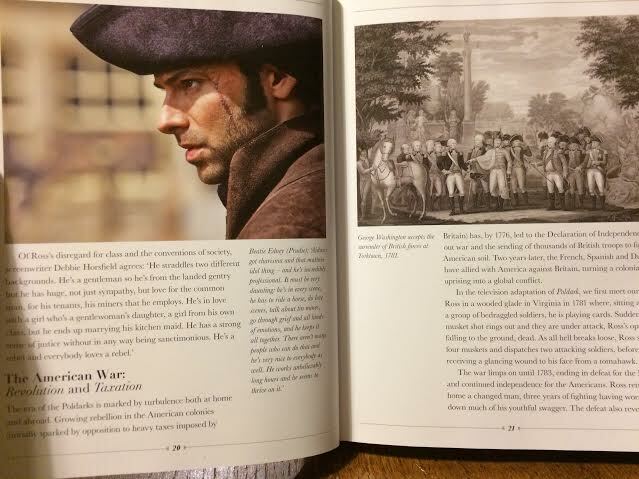 Each chapter introduces us to an episode of Poldark, using the story in each episode as a springboard to explore the historical context of the events in the episode and what goes on behind the scenes. One of the most interesting passages is the interview with the production designer, Catrin Meredydd. 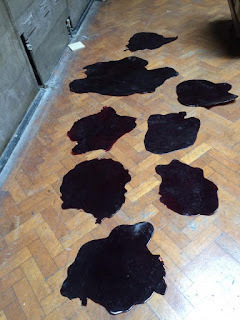 But all topics are covered, from the rise of Methodism to mining, the real life basis for the Carnmore Copper Company and the Warleggans, to the care and detail that goes into dressing the sets, everything from food to flowers is carefully considered. Having historian, Hannah Greig, on board to advise everyone involved in the production was clearly essential in order to bring the authenticity of Winston Graham's world to life. History fans will find much to enjoy in passages about the social and political history of Britain, and Cornwall in particular, at the time. 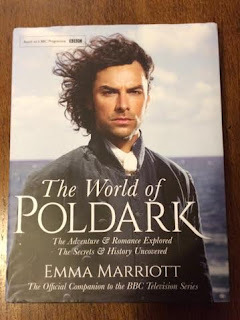 If you're after extensive new interviews with Aidan Turner or bags of pictures you haven't seen before you won't find them, but if you want to find out more about how the show was made, what's involved in a production like this from the people who work on set, and learn a bit about the historical roots of Poldark, all in one glossy package, it's well worth asking Santa for. The World of Poldark is published by Pan Macmillan and cost £6.99 on Amazon. DJ Owen from Wessex Radio is also a film extra. In this short interview he talks about his recent adventures on Poldark and about spending time with Aidan Turner. The speculation is finally over! 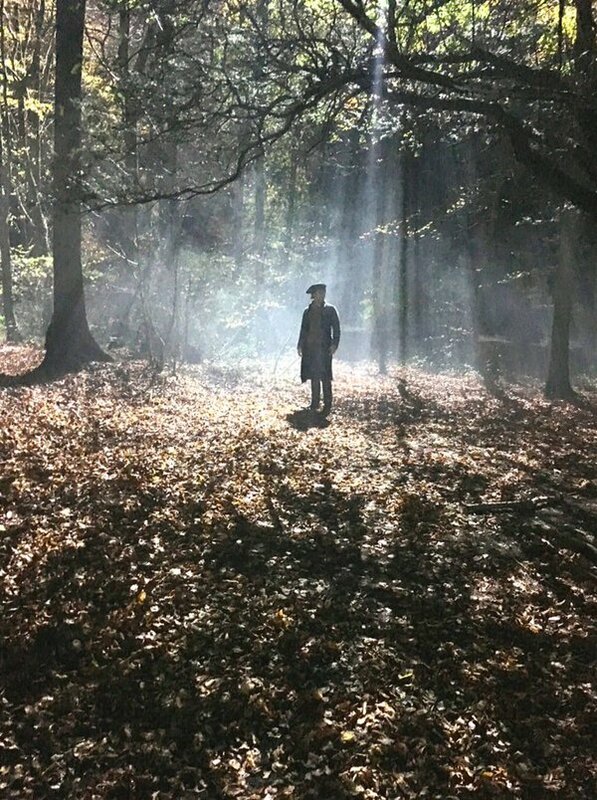 Official Poldark have announced that Poldark S2 is scheduled for Autumn 2016 in the UK and Poldarked has had this confirmed by Poldark's publicist. There is no news as yet of air dates around the world, but we'll keep you posted. 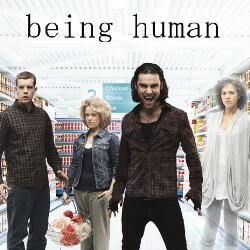 Aidan Turner's shows, Being Human and Desperate Romantics are now available to buy online through BBC iplayer and the BBC Store. So, if you missed them the first time round, now you can catch up!. And that's not all! The BBC has made many of it's shows, new and old, available. 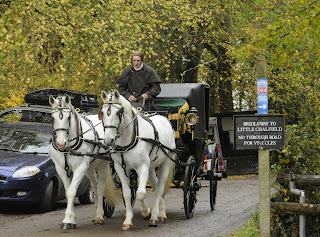 The new Poldark is there as is Pride and Prejudice. There are lots of popular classics and some previously unavailable ones too, according to Metro , with the promise of more to come. 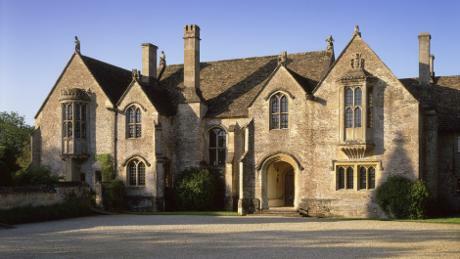 Last week's rumours of Poldark filming at Great Chalfield Manor near Bradford on Avon were realised today, when crew and cast arrived for three days of filming. 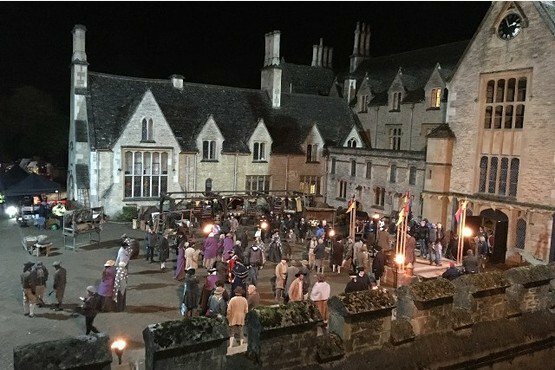 According to the Gazette and Herald filming will take place in the gardens and grounds of the manor as well as inside the house. 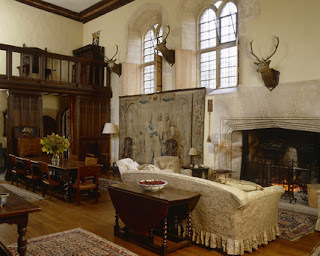 One event being filmed is a party in the Great Hall. 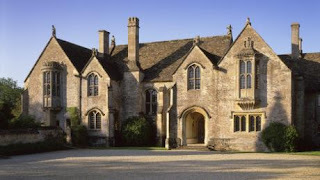 As yet, it has not been revealed which house from Poldark novels Great Chalfield Manor stands in for but it may well be Killewarren, home of the Penvenen's. 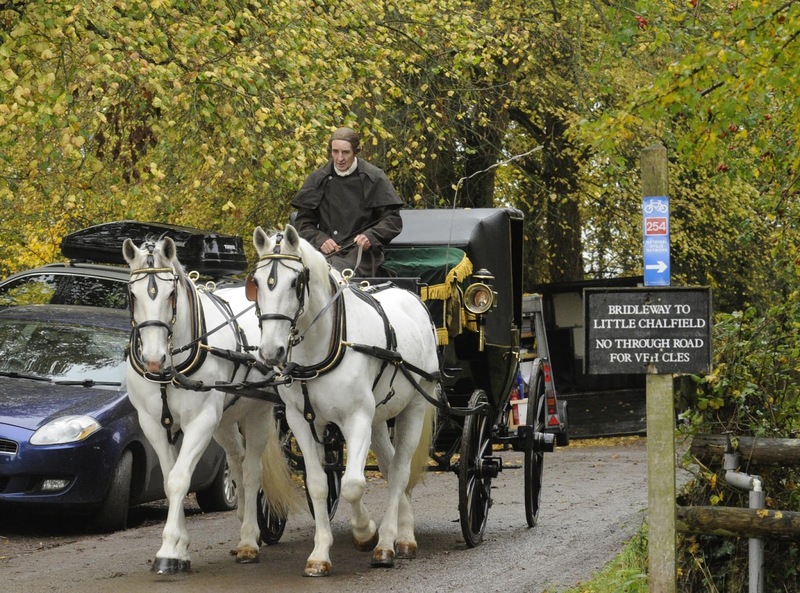 Certainly Gabriella Wilde, who plays Caroline Penvenen, was spotted there today. nearby village of Neston, much to the delight of Sir James Fuller, owner of the Neston Estate. 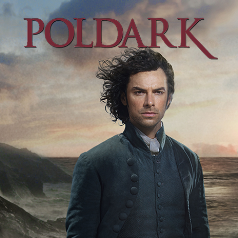 Congratulations to Poldark on receiving two nominations in the Royal Television Society Craft and Design awards 2015. 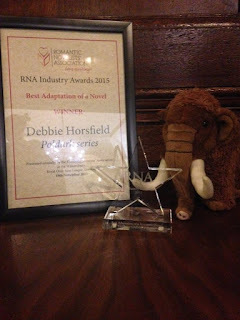 The awards will be presented to the winners at RTS Awards Dinner on Monday 30 November, 2015 at the London Hilton. The TV tie-in edition of the Agatha Christie novel And Then There Were None is now available for pre-order. This new edition has been produced by Harper Collins to coincide with the BBC adaptation of And Then There Were None, starring Aidan Turner, which airs in the UK at Christmas. The paperback is available from 3 December, 2015 in the UK, priced £7.99 and can be pre-ordered from Amazon and from The Book Depository for £7.15 with free worldwide delivery. Back in June we mentioned that the rights to publish the scripts for Poldark Series 1 and 2 had been acquired by Pan Macmillan. 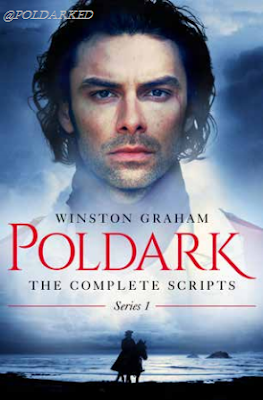 We're now delighted to announce that Poldark The Complete Scripts Series 1 will be available in February 2016 and can be pre-ordered now. 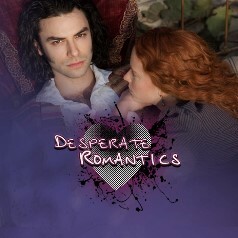 Delve deeper into the hit BBC drama starring Aidan Turner as Ross Poldark and Eleanor Tomlinson as Demelza. Collecting together Debbie Horsfield's original scripts, this volume allows you to relive the greatest moments from the first series, from Poldark's initial homecoming to the series' dramatic close. This is the perfect accompaniment for fans of the series and gives a unique insight into how the show was visualized. Thanks to Teresa Michalski for the news that it's available from The Book Depository with free worldwide delivery.